God called Moses at the burning bush, and Moses faithfully answered that call for the rest of his life. This 15-part study covers the book of Exodus, and each chapter includes discussion questions. 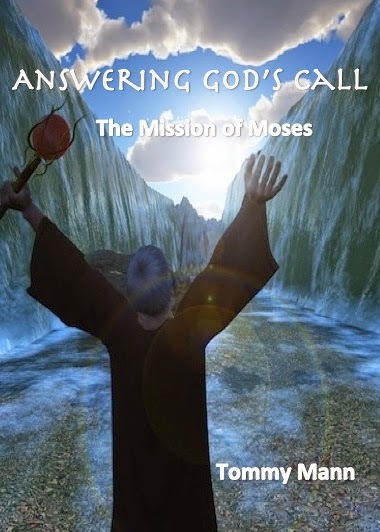 Perfect for small groups, Bible studies, or personal edification, Answering God's Call takes the reader from Egypt to Sinai while following the Mission of Moses. Answering God's Call begins in Egypt with the Hebrews in slavery, then chronicles Moses as a baby, a fugitive, a shepherd, and finally, a deliverer. Just like with What Now?, 100% of the book sales go towards Philippi Baptist Church's debt retirement. For more information on book proceeds from Tommy Mann Ministries, read this post. Doesn't the ability to think prove the existence of God? If you want to think hard, try thinking about thinking. How do you think? The scientific community has no generally accepted idea as to what thinking is and how thoughts are created. If you believe, then, that this mind-boggling idea called thinking is the result of some random chance luckiness, then you can conclude there is no God. But if you get the hunch that there just might be some intelligent design involved, then grab a cookie and admit there is a God. Each year around Easter I hear people ask the same question: How was Jesus dead for three days? After all, Friday night to Sunday morning hardly constitutes three days. This has led to some confusion, causing some to speculate that Jesus either died earlier in the week, or that Scripture got the event wrong. First of all, we need to stress that the Bible teaches the Resurrection would occur on the third day, not in three days. Who decided that Jesus needed to be in the tomb for a minimum of 72 hours in order for Scripture to be accurate? Consider Matthew 16:21, which predicted Jesus would, “be killed and be raised the third day.” Also consider that Matthew 17:23, 20:19, 27:64, Mark 9:31, 10:34, Luke 9:22, 18:33, 24:7, 24:21, 24:46, Acts 10:40, and 1 Corinthians 15:4 all teach the Resurrection on the third day. This is easy to reconcile. Jesus died and was buried on Friday before sundown, marking the first day—not 24 hours, but the first day. Saturday was the second day, and Sunday morning, although early, was the third day. Jesus could not have died earlier in the week because Scripture teaches that He died on Passover and rose on First Fruits. These days were marked in Leviticus as being a Saturday and Sunday, and since no work was to be done on the Sabbath, the Passover lamb was killed on Friday before sundown. Jesus, as the Lamb of God, was killed on Friday at the exact time the priest was killing the Passover Lamb, and He rose early Sunday morning at the time the priest would present the First Fruits offering. The meal that Jesus ate in the Upper Room was the Passover Seder. Had He died earlier in the week He would not have been able to eat this meal. Jesus and the disciples ate “the Last Supper” on Thursday, which was the traditional time to eat the meal. This is why many observe Maundy Thursday prior to Easter. It is dangerous to over-Westernize our understanding of Scripture. 1st Century Jews were not bound by our Gregorian calendar or our observance of midnight-midnight to mark days. The culture in which Jesus lived observed days as being loosely defined as sundown to sundown. Sundown on Thursday began a new day (Friday), and this is when Jesus ate the Seder (it was very late when He went into the Garden to pray). Through the night and into the morning Jesus was tried, beaten, and condemned; He was crucified on Friday, and gave up the Ghost before sundown. Therefore, Jesus died and was in the tomb on Friday. Sundown Friday to sundown Saturday was the second day, and Saturday night actually began the third day. Therefore, the Resurrection on Sunday morning was well into the third day. The most important thing to remember is that it is not the number of days Jesus was in the tomb, but the fact that He escaped the tomb, defeating death and hell, to make our salvation possible. 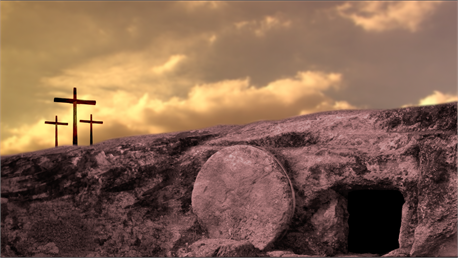 Praise God for the empty tomb!